Comment: Signed by the author, with personal dedication. Crisp pages and tight binding. Different cover than shown. Light shelf wear on cover. Previous owners mark in front of book. 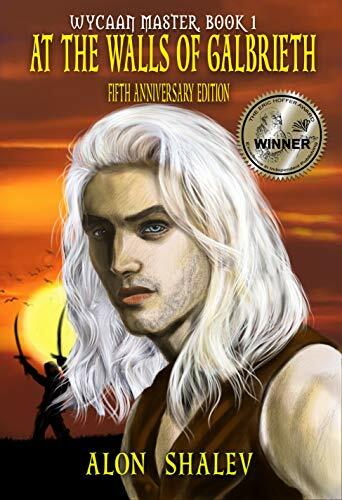 Start reading At The Walls Of Galbrieth (Wycaan Master Book 1) on your Kindle in under a minute. I was given this book as a gift by write Lisa Fender of "Fable" with no expectation of a review. I have discovered that I am a cover snob. Had I seen this book somewhere on my own I probably would not have read it because the cover didn't 'grab me'. That would have been a mistake. This book has everything. 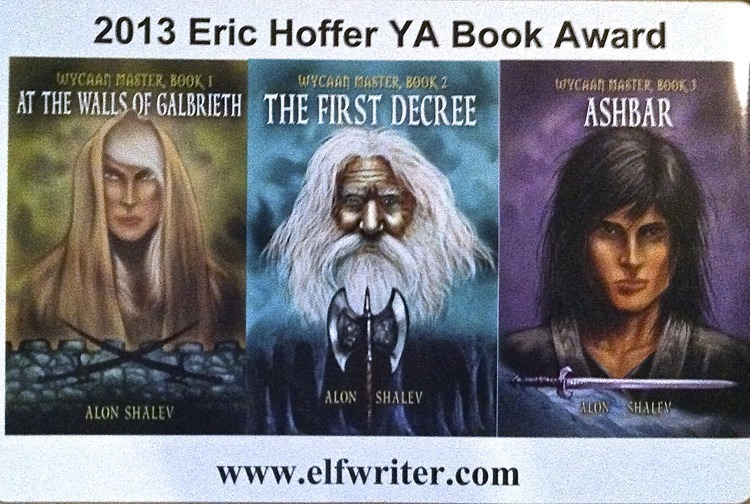 Action, adventure, magic, friendship, loyalty, and young love. The races all hate each other with elves being made slaves by humans. Tales have been told of a strong alliance that existed once upon a time between all the races: man, elf, dwarf, and others. However it was so far in the past that no one living remembers it or even thinks it is possible. A young elf has been forced to flee his home for reasons he know not. Along his way he meets and easily befriends others, elf and human alike. He inspires loyalty from this who follow him even though he doesn't really know the way. Read and discover him as he discovers himself and his destiny to unite the world and end tyranny! I highly recommend this book!!!! A refreshing start to a new series, I truly enjoyed reading 'At the walls of Galbrieth'. I bought the book as it fell into the 'Elf' category and I have a penchant for books involving elves. I wasn't disappointed! Very well written and the character development was well done. It's a book about one particular elf who will become a Wiccan master and who has been deigned the 'one' who will unite dwarf, human and elf in a fight against the empire. I find with most reviews that no 'Synopsis' is forthcoming and sometimes when I am looking for a book on Amazon kindle, I read the reviews to try and find out what the story line is supposed to be. The reason is that sometimes the book synopsis is so vague that one doesn't know what the book is actually about. This was an enjoyable read, engrossing, gripping and hard to put down. I liked the character development which was well laid out and I look forward to reading the next book in the series. I would highly recommend this book to anyone who likes books involving elves and the other races of man and who like a good fast paced read. A definite read for 'Elf' buffs. Very enjoyable. E.K. Sad to say, recently I surrendered to the voice inside my head that kept telling me to stop reading a book I’d bought with a theme and story line that fascinated me. 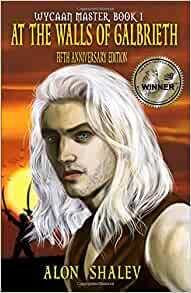 Then I picked up “At the Walls of Galbrieth”, a young adult fantasy novel, and started reading. A few days later, I finished it. Needless to say, the other book, that will go unnamed, will never be finished or reviewed by me, because if I have nothing good to say, I say nothing. But I have many good things to say about Shalev’s fantasy novel. First, young readers will find that its reading level is just right. Second, the theme of a young elf on the run from an evil emperor’s army works well as Seanchai goes in search of the teacher who will show him how to unlock the powerful magic he was born to use as a weapon to free his people and the other races from the evil emperor. The young elf also discovers love and learns the value of friendship and trust as others risk their lives to protect him. Third, the plot and action keep you turning pages to see what happens to Seanchai and his friends next. I’ve been reading fantasy since the early 1960s when I was first introduced to Andre Norton’s science fiction and fantasy novels while I was still a student in high school, and I read the “Hobbit” and the “Lord of the Ring” in bunkers while serving as a US Marine in Vietnam. In fact, I’ve read the “Lord of the Rings” three times. And when you finish this story, you may want to read the other books in the series as I do. I bought my paperback copy of “At the Walls of Galbrieth” from Amazon.